It’s pretty evident that our demand for convenience is ruining the environment. The members of Green Day are here to change that. There are enough single use coffee pods sitting in landfills on this planet to wrap around the globe at least ten times. We get up for work, make a quick cup of coffee, throw the pod in the trash and hurry out the door- often oblivious to the harm we’re causing. But, there is a solution to this problem. It comes from Oakland Coffee, the sustainable coffee brand by Green Day members Billie Joe Armstrong, Mike Dirnt and Tré Cool. Thanks to them, you can have a best of both worlds situation - a cup of coffee made in your machine that actually tastes like freshly ground coffee, not that watered-down traditional K-Cup taste you settle for, all while not adding to a larger ecological footprint. On top of all of that, it’s actually affordable. 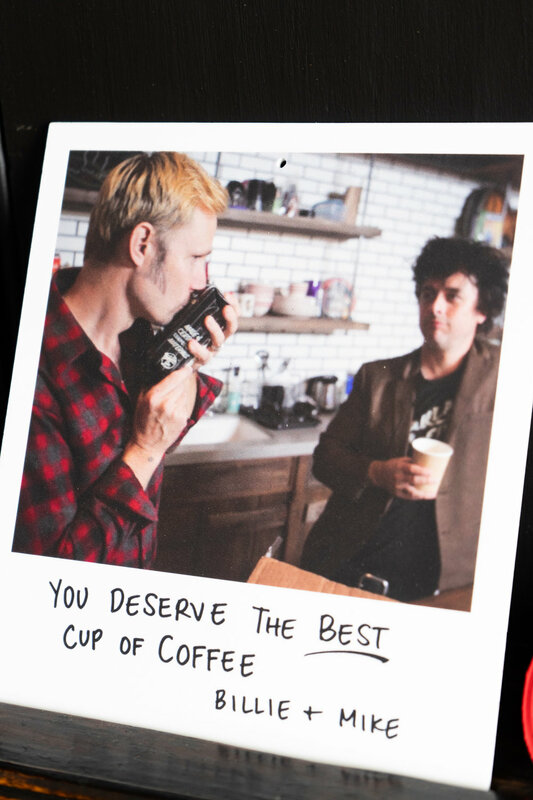 Before Oakland Coffee was officially born, the guys of Green Day realized they wanted to give back to the communities that would be making the coffee. Fueled by Love was created as a community program benefiting those they source from. Partnering with “three badass ladies” that were down in Peru - where Oakland Coffee primarily sourced their first blend - they were able to speak with the communities to ask what they needed. Helping to build an educational center, emergency center as well as repair infrastructure, the guys were determined to be wholeheartedly involved. “We didn’t want to be the company that just sends money down like, hey, have fun, you need this,” Kaplan explained. Once ready to get up and running, they looked to large companies to help with their mission to create a fully compostable coffee bag. But, they all said the technology did not exist and that they couldn’t do it. Refusing to take no for an answer, they did their own research. It took years but they finally did it. All of their packaging, including the single use pods, are 100% compostable- made of corn and potato starches as well as cellulose. The mesh of the single cups was the most difficult to get right because of the intense pressure and heat it has to withstand but it was successfully accomplished. The executive ladies of Oakland Coffee including Kate Kaplan in the middle at Oakland Coffee’s HQ in West Oakland. 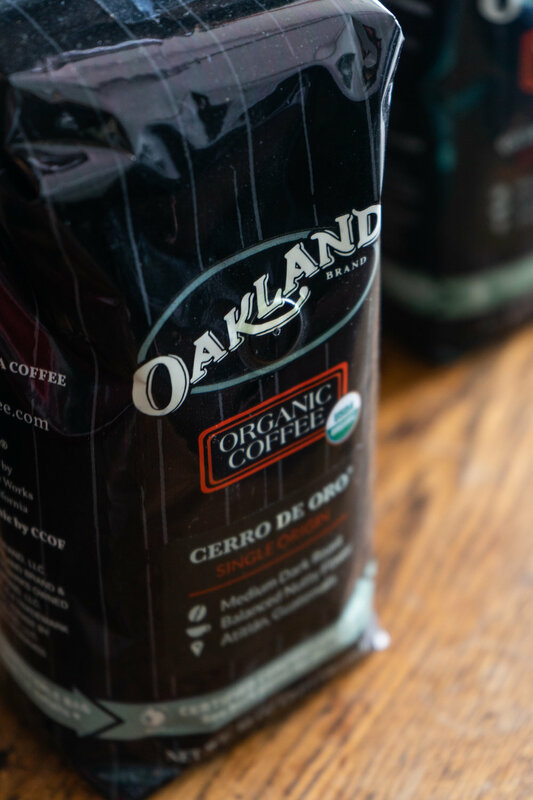 Oakland Coffee is the only U.S. made, BPI certified, fully compostable coffee packaging. For such an incredible solution to the plastic waste problem, why had this not already been done? If you want people to use sustainable options, you have to make it as simple and cost effective as possible. If not, few will change their routines. Oakland Coffee understands this and is doing everything they can to not make switching from traditional pods to compostable a seamless transition. “If you change everything about something, people will freak out,” explained Kaplan. That’s why you can find them on the shelves at your local Bay Area Safeway and Ralph’s, next to your usual coffee, with similar price points. The brand is working on expanding into stores all over the country to be even more accessible. Make no mistake, this is no, as Kaplan describes, “skinny jean coffee company” that is often associated with snootiness - just some damn good coffee by those who care about saving the planet. If you’re wondering about a café, it’s coming. And, of course, it will be in Oakland. 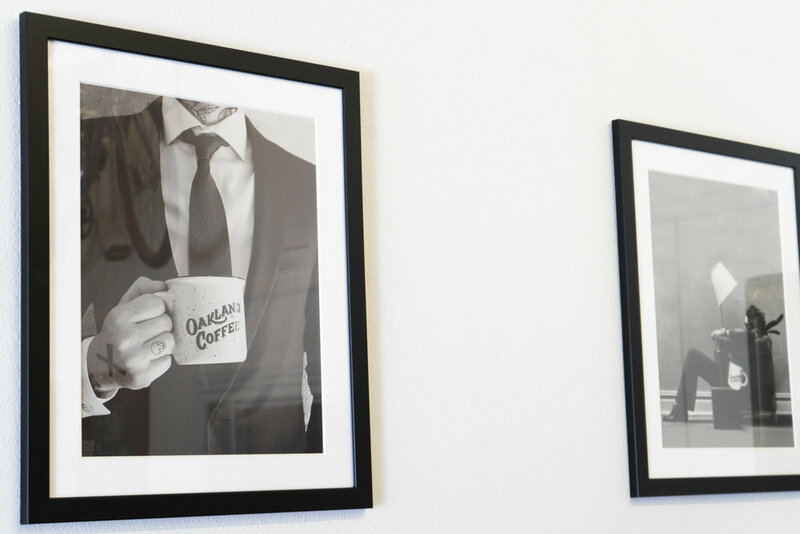 // Visit OaklandCoffee.com to check out their products and find out where to purchase. Photography by Anthony Rogers.